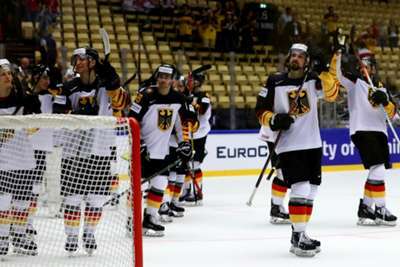 Germany boosted their IIHF World Championship quarter-final hopes with a 6-1 thrashing of South Korea, their first win of the tournament. 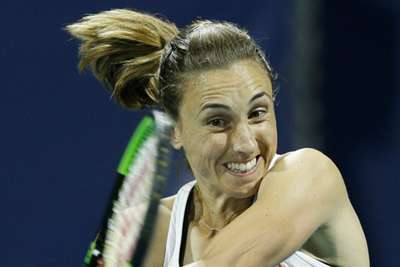 The Olympic silver medallists had tasted defeat against Norway, Denmark and the United States in their opening three matches of Group B, but turned on the style on Wednesday. Goals from Leon Draisaitl, Patrick Hager, Frederik Tiffels, Yannic Seidenberg and Yasin Ehliz's double put Germany in total control, Brock Radunske's late strike a scant consolation for a Korean side who have now lost all four matches and conceded 29 times. Denmark were also celebrating on Wednesday as they left it late to bring Finland's 100 per cent start to an end, the hosts beating the group leaders 3-2 thanks to Nichlas Hardt. Overtime had looked likely as time ran out in Herning until Hardt struck in the power play to leave Denmark, Germany and Latvia on five points - although the latter have a game in hand. In Group A, Joel Vermin scored twice as Switzerland beat managerless Belarus 5-2, the eastern European nation having sacked head coach Dave Lewis after losses to Sweden, France and Russia. Belarus remain rooted to the foot of the table still looking for their first point, while Switzerland move level with Russia on nine points. They both trail Sweden after the defending champions trounced Austria 7-0, Rickard Rakell grabbing a brace to move them three clear of the chasing pack.